It’s a sunny weekday afternoon, and the road leading to the famous Gopalpur sea beach in Odisha is bustling with activity. Shopkeepers are wrapping up last-minute sales to break for lunch while some of the others are making way to their homes. Amid the hustle, a bus takes a left diversion, and all the activities cease into oblivion. After another right turn come two entry points, which are paths leading to a different world altogether. ‘Trespassers will also be trained,’ the signboard reads. You read that right! Trained, not prosecuted. The signboard is a metaphor for the rigorous training and discipline inside India’s only and most advanced Army Air Defence (AAD) College. One of the youngest corps of Army, the Army Air Defence Corps bifurcated from the Regiment of Artillery 25 years ago. Spread over 2,700 acres, the institution boasts of modern facilities, equipment and weapons. The AAD College has around 3,000 recruits. It is a popular training hub for all the AD warriors from Air Force, Navy, CRPF and CISF personnel. Around 100 are recruited from the Officers Academy. The College also receives foreign officers from 20 Asian and African countries including Bhutan, Nepal, Myanmar, Mozambique and Rwanda. The training period is divided into physical and advanced training modules. While the former can take up to 19 weeks, weapon training takes at least 45 weeks. “When we get trainees, the first task is to improve their endurance, strength and confidence. We undertake physical training activities like vertical rope, horizontal rope, toe touch beam, shuttle race and other body exercises. 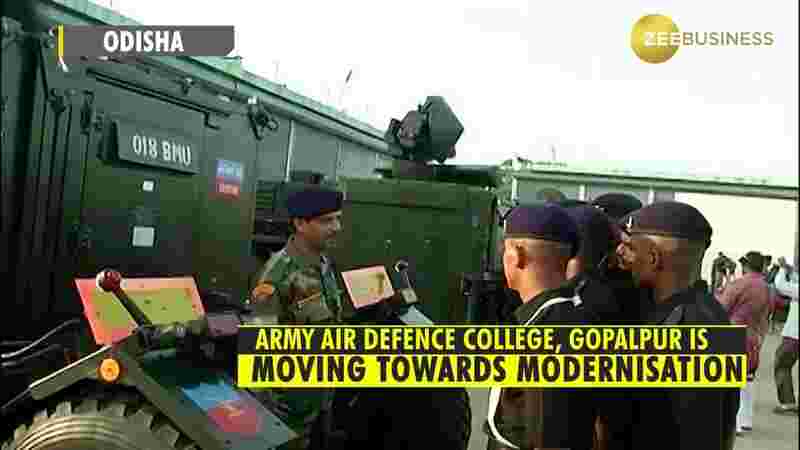 At the end of each day’s training, the trainees are made to play any game for five minutes as a recreation,” says an instructor posted at Gopalpur Military Station. Weapon training is more sophisticated. From Russian-made 9mm Carbine guns to the latest 5.56 mm Light Machine guns, the Air Defence (AD) Warriors are provided in-depth training. The AAD also has radar control weapons including ZU 23mm guns and L 70 guns, to combat aerial threats. As the sun sets, the dark skies suddenly roar with thunders and erupt into beams of light, striking a target, barely visible to the naked eye. The logo of the AAD has the Sanskrit words ‘Akashe Shatrun Jehi’, which means “no enemy can dare venture into our skies”. “The ultimate test of any personnel is defeating enemies. So, we focus a lot on firing. 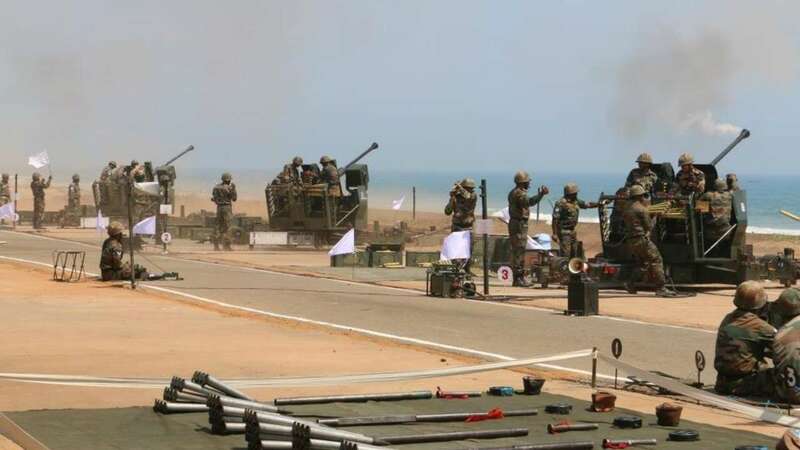 The ZU 23mm has a firing range of 2.5 km, while the L 70 gun has a range of 3.5 km,” says Major General PS Bhatia, Deputy Commandant, AAD College. While the military station is generally out-of-bounds, it was recently open to media interaction, to display its strength. “Most people are not aware of this AAD College and its training. We want people to know they are safe, with us around. Apart from what we do (combat training), we are directly engaged in service when there are natural calamities like cyclones or civil unrest. All we want to say is that the AD warriors are ready, should there be any requirement,” concludes Major General PS Bhatia.